When Penny discusses whether to hitch a cow with Leonard, Sheldon and Raj, Howard arrives and invites the whole group to the Thanksgiving dinner at his mum. Howard has to do some convincing work, because no one is enthusiastic immediately. After all, all of them can still be broadcasted. In the preparations for the celebrations, Penny slips out of the fact that she married her ex-boyfriend Zack in Las Vegas because she thought it a fake wedding. Penny is shocked and Leonard, of course, is upset because she married Zack, though unknowingly, but did not accept his request. Bernadette's father is also invited to dinner with the Wolowitz family. 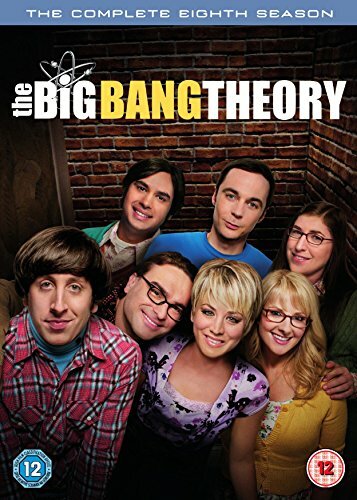 Sheldon lets the others feel that he does not feel like the celebration of Howard and his mother, while Leonard of Penny asks to cancel the marriage with Zack as soon as possible. 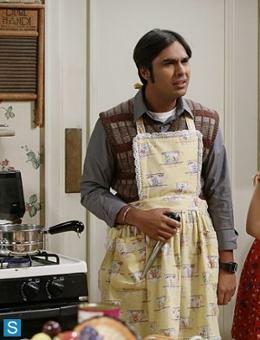 Because Howard's mother feels uncomfortable, Raj takes over with Bernadette and Amy the cooking. Howard finds it hard to get warm with his father-in-law, who is watching a football game. When the others arrive, Howard realizes that the atmosphere of his guests is in the cellar. Sheldon does not want to be here, and Leonard and Penny argue. Raj blooms in his role as a chef, while the other boys look with Bernadette's Dad Football. He likes to be with Sheldon because he knows football, and Howard is suddenly the third wheel on the car. Penny has invited Zack so that he can immediately sign the cancellation papers. Leonard and Penny argue about this. Sheldon tells Howard's father-in-law about the death of his father. Mr. Rostenkowsky wants Sheldon to drink a beer with him to hit his dead dad. Howard is completely ignored by both of them. He feels excluded and tells his wife. Zack emerges and signs the cancellation documents. He invites himself to stay for dinner. After a short time, Sheldon is drunk and has a lot of fun with his new friend, M. Rostenkowsky. The two must apologize to Howard when Bernadette sniffs the two drunks. After being eaten, Penny apologizes to her beloved. Even Mr. Rostenkowsky still has a few nice words left his son-in-law Howard, but not without stressing that he is very drunk. At the end of the evening, Sheldon, who, contrary to expectation, had a lot of fun, had to surrender to the beer.